Valentine's Day is just about here, which means it's time to prepare our annual batch of Jumbo Chocolate Covered Strawberries. These famed berries get more requests than any other dessert we offer. Please call and reserve yours today because there have been years where they are gone in less than 3 hours of putting them on sale. Strawberries will be available beginning Saturday, February 9th, so call and reserve today! They will remain for sale through Valentine's Day! By calling ahead, you will have your order(s) held, and there is no need to worry about that last minute gift. 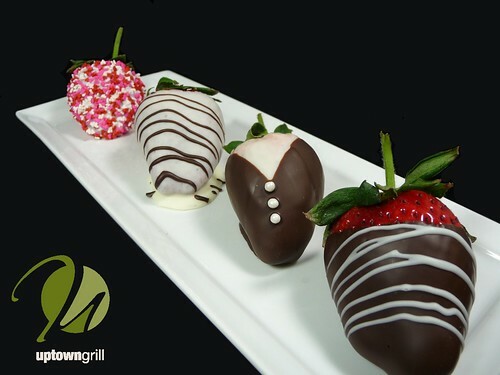 Reservations for these strawberries are recommended for both dine in and carryout orders. Prices for both options are as follows. Give us a call at 815-224-4545.